Founded in 1965 by a group of students who saw the growing potential for a large ensemble to thrive on campus, the Yale Symphony Orchestra has become one of the premier undergraduate ensembles in the United States. The largest orchestra in Yale College, the YSO provides a means for students to perform orchestral music at a conservatory level while taking advantage of all Yale, as a liberal-arts institution, has to offer. The YSO boasts and impressive number of alumni who have gone on to successful musical careers, but for a conservatory-level musician seeking a strong liberal arts or STEM education, we are one of the few – if not the only – opportunity for a talented orchestra musician to maintain the trajectory of their musical studies in a non-conservatory environment. As a result, most of YSO musicians are non-music majors. That said, the YSO numbers among its alumni members of the New York Philharmonic (Sharon Yamada, 1st violin), the Boston Symphony Orchestra (Haldan Martinson, principal 2nd violin, and Owen Young, cello), the Los Angeles Philharmonic (David Howard, clarinet), the San Francisco Symphony (the late William Bennett, oboe), Philadelphia Orchestra (Jonathan Beiler, violin), Toronto Symphony (Harry Sargous, oboe, ret.) and the Israel Philharmonic (Miriam Hartman, viola), as well as music director of the Baltimore Symphony Orchestra Marin Alsop, National Public Radio commentator Miles Hoff man, composers, Michael Gore, Robert Beaser, Conrad Cummings, Stephen Paul Hartke, Robert Kyr, and more. Although the YSO is an extracurricular ensemble within a liberal arts university, its reputation and output rival those of conservatories worldwide. 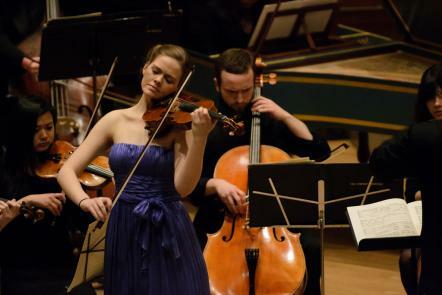 Throughout its history the YSO has been committed to commissioning and performing new music. Notably, the YSO presented the European premiere of Leonard Bernstein’s Mass in 1973, the world premiere of the definitive restoration of Charles Ives’ Three Places in New England, the U.S. premiere of Debussy’s Khamma, and the East Coast premiere of Benjamin Britten’s The Building of the House. In every season the YSO works to program and perform orchestral works written by new and emerging composers, as well as lesser-heard works by established and obscure composers. The YSO has performed with internationally recognized soloists, including Yo-Yo Ma, Frederica von Stade, Emmanuel Ax, David Shifrin, Thomas Murray, and Idil Biret. Each year the YSO is proud to present student winners of the William Waite Concerto Competition the opportunity to perform major solo works alongside the orchestra. Outside New Haven’s Woolsey Hall, the YSO have performed at New York City’s Carnegie Hall, Avery Fisher Hall at Lincoln Center, and St. Patrick’s Cathedral. 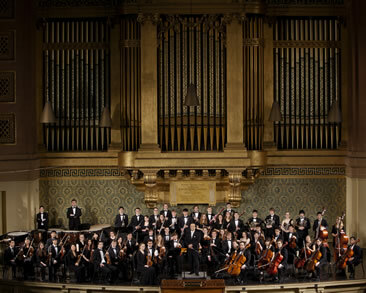 In 2011, the YSO joined the Yale Glee Club at Carnegie Hall in celebration of their 150th anniversary, and was hailed by New York Times music critic Zachary Woolfe as “the excellent Yale Symphony Orchestra.” In the past ten years, the YSO has toured domestically and internationally, including a 2010 tour of Turkey with acclaimed pianist Idil Biret. Ms. Biret rejoined the orchestra for a recording of Paul Hindemith’s piano concerti, which were released in 2013 on the Naxos label. Past tours have brought the orchestra to Portugal, Korea, Central Europe, Italy, and Brazil. The YSO just completed its first tour of Russia in May of 2017. Beyond its season concerts, the YSO is famous for its legendary Halloween Show, a student-directed and -produced silent movie, whose score the orchestra performs at midnight in full costume. Long a Yale tradition, the Halloween Show sells out Woolsey Hall days in advance, and the production remains a closely guarded secret until the night of performance; recent cameo appearances include James Franco, Woody Allen, Alanis Morisette, Rosa DeLauro, and Jimmy Kimmel. Current Music Director, Toshiyuki Shimada, is currently on leave. Former music directors include Richmond Browne, John Mauceri, C. William Harwood, Robert Kapilow, Leif Bjaland, Alasdair Neale, David Stern, James Ross, James Sinclair, Shinik Hahm, and George Rothman.